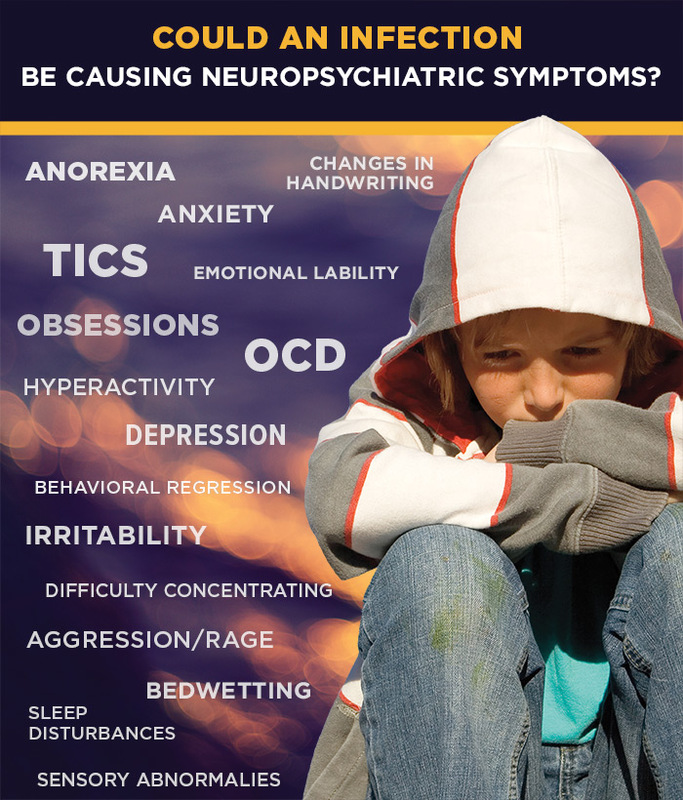 Neuropsychiatric disorders are those illnesses that have both neurological and psychiatric features. 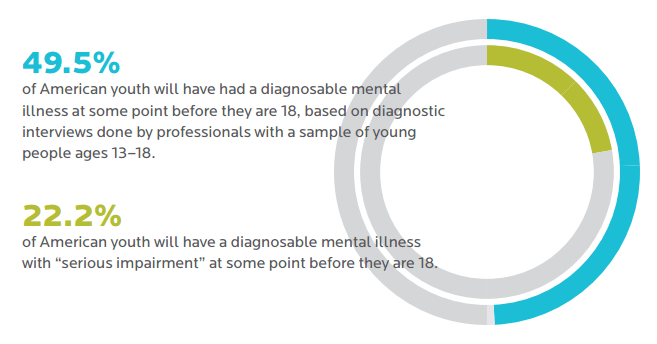 Millions of children and adolescents in the United States are impacted by a mental health condition. 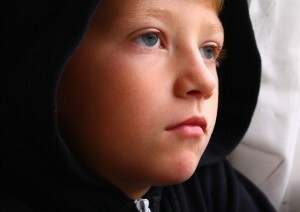 In fact, more than 17 million children in the U.S. currently have or have had a psychiatric disorder. * That’s more than all pediatric cases of cancer, diabetes and AIDS combined. 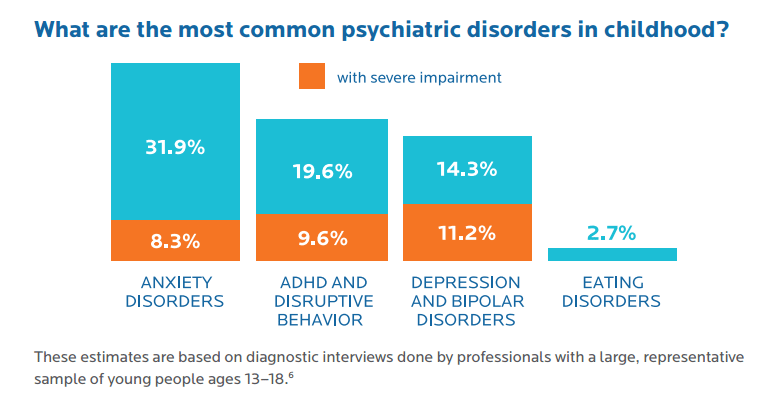 The most common psychiatric illnesses in children are anxiety disorders, attention deficit hyperactivity disorder (ADHD) and disruptive behavior, depression and bipolar mood disorders. 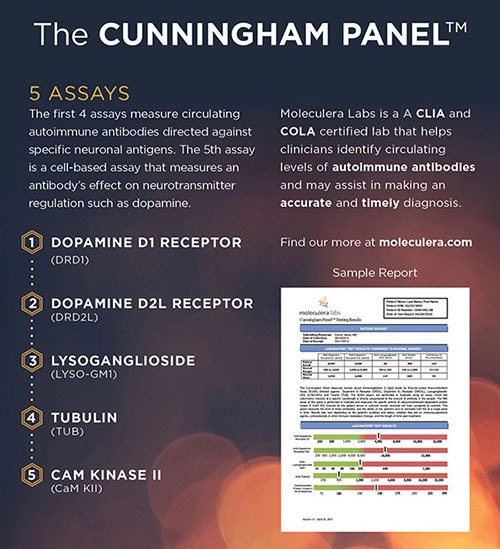 * Other illnesses include obsessive-compulsive disorder (OCD), Autism Spectrum Disorders (ASD), and eating disorders, along with other behavioral, developmental and movement disorders. Researchers believe a number of children and youth who have been diagnosed with a neuropsychiatric illness may actually suffer from an infection-induced autoimmune disorder, which triggers neurologic and psychiatric symptoms, such as OCD, tics, eating disorders and ADHD.